You have been working hard to lose weight, being ever so careful what you eat, even cutting calories, and exercising, you know, like they say you should. But still…nothing! 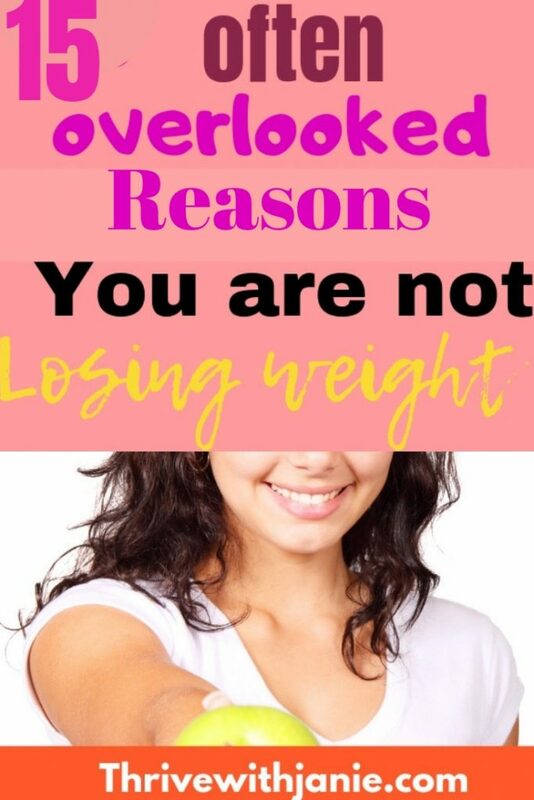 You are not losing weight. The scale hates you. Okay, no, not really. 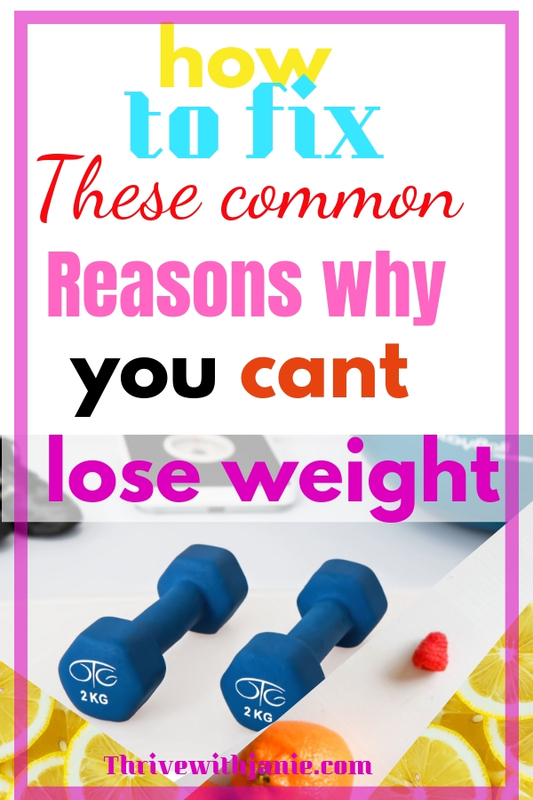 Why can’t you lose weight? Trying to lose weight can be so frustrating for many of us. Why is this? 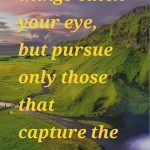 There are many reasons that can totally stall your dreams to lose weight and fit into that awesome form-fitting dress you so want. Yes, losing weight can be quite a struggle for quite a lot of people. 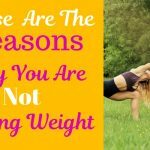 Let’s look at some of the reason why weight loss is so hard at times, and find out how we can finally, shed off some of the pounds. Food choices can contribute a lot to the amount of weight you lose. If you are eating some prepackaged food, you may be consuming empty calories and other not so good things. Unfortunately, just because a prepackaged food says its healthy does not mean that that’s the case. Keep in mind that they likey may contain preservatives for increased shelf life, and that means chemicals you don’t need to eat. If you want to lose weight, then, eat whole foods, with ingredients you can identify cooked an in a healthy manner. The other thing to consider is that some foods have a higher satiety index than others. And those in the box even if labeled healthy such 100 calorie packs just cannot compete with real food. It is important also to choose foods that are more nutrient dense. This will contribute to your micronutrients that are essential to energy use, and you will eat less, and therefore lose weight. To function better and keep your eating frequency down, you need to eat 25- 30 % protein in calories. Proteins keep you full longer so you eat less, and less frequently. 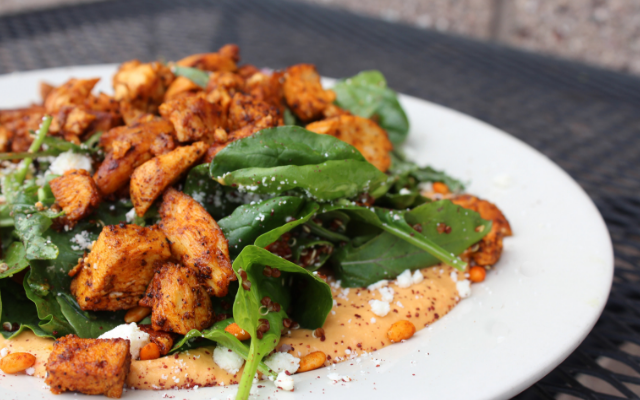 This research found that including enough proteins in your meals cuts on eating frequency. And a study by The American Journal Of Clinal Nutrition also supports that eating at least 15% to 30% of calories in protein leads to weight loss. They found that weight loss was due to reduced appetite caused by an increased nervous system sensitivity to leptin, the hormone that lets you know you are full. So it is simple. Make sure your diet includes enough protein per day, so you are not often hungry and somehow sabotaging your efforts to lose weight. 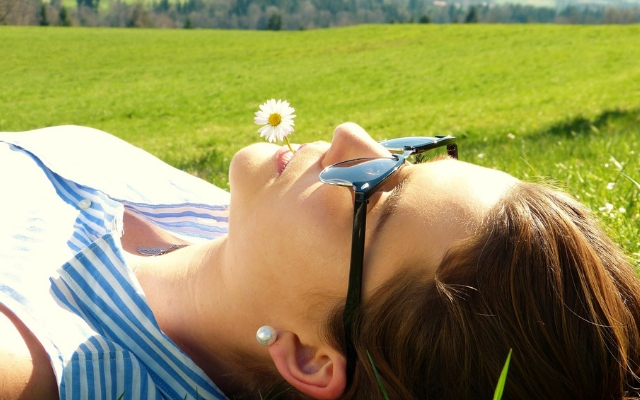 Do you have a vitamin D deficiency? Vitamin D is so crucial in the development and functioning of the human body. Research is only now starting to understand the many crucial roles that vitamin D plays in the body. Many studies are showing a relationship between obesity and vitamin D deficiency, and given that 40 % of the US population is deficient of vitamin D, then you can see how many people are likely struggling with weight and obesity, and even other chronic health issues as a result. According to the International Journal of Health, Vitamin D deficiency is an epidemic with Over 1 billion in the world population having a deficiency or insufficiency. Vitamin D functions as a hormone and it regulates the function of over 200 genes. That is a lot. These genes determine what your cells do. So with a deficiency, some cellular functions are not working as they should, and that can lead to weight gain and many health problems. 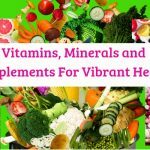 If you are committed to losing weight and I know you are, it is important to know that all the health bases are covered including maintaining the optimal levels of vitamin balance. Have your Dr. check your vitamin D levels, and if low, he will prescribe a course of vitamin D.
My Dr. prescribed me a course of vitamin D2 and when I was done, she advised me to take vitamin D3 2000 IUs daily. These are the ones I take. I like them because they are easy to take with berry flavor, no gelatin, none GMO and pectin based. It is hard to lose weight if you are not drinking enough water. Dehydration slows down your metabolism. Proper hydration affects all your organs and optimizes fat burning mechanisms. Think for example that your brain is 80% water. Your brain may have a lot to do with weight loss. If you are dehydrated, depending on how much, you can get confused, experience lethargy, sluggishness, and lack motivation. This means that you won’t feel like heading out to the gym. You may find it difficult to even make good choices in food. You have no energy. Energy production requires water. Your body is a machine, whose fuel is proper hydration and the right nutrition. 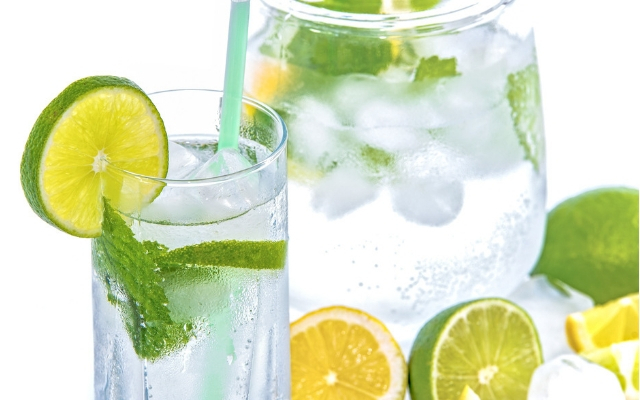 Drinking enough water is essential for an optimized metabolism and for weight loss. Research published in The Journal of Endocrinology Clinical and Metabolism found that drinking water increased metabolism by 30% within 10 minutes after drinking and reached the maximum after 30-40 minutes. Try drinking cold water. The body then uses more energy to warm the water and results in more energy expenditure and weight loss. Also, if you drink water before you eat, you won’t eat as much, as this makes you full sooner, thereby cutting some calories consumption and will help you lose weight. If you are drinking anything but water, especially if you drink soda, even diet or juices, these can stop you from losing weight. Some drinks such as fruit juices even vitamin water can be loaded with sugar. What then happens is that you are consuming loads of liquid calories which unfortunately don’t keep you full so you still eat. Some drinks especially juices, and even coffee, leave still thirsty. Coffee is a diuretic and makes you go to the bathroom more so you dump all the water. Juices and their sugar have the same effect because the body tries to get rid of excess sugar through urine. So for optimal hydration, and weight loss, water is essential. If you really hate plain old water, you can increase your water intake by adding fruit to your water. I love infused water. Using a pretty infuser bottle makes it so pretty and easy and appetizing. You can get one to go and one to infuse a big batch for at home. I do love my beautiful fruit infuser. And even better, this bottle comes with an Ebook to help you maximize your fruit variety infusions. Awesome, I say. or tthis motivational water bottle. Alas! Even too much healthy food can still cause weight gain. So you must eat all in moderation. Fruit, for example, is great for health. 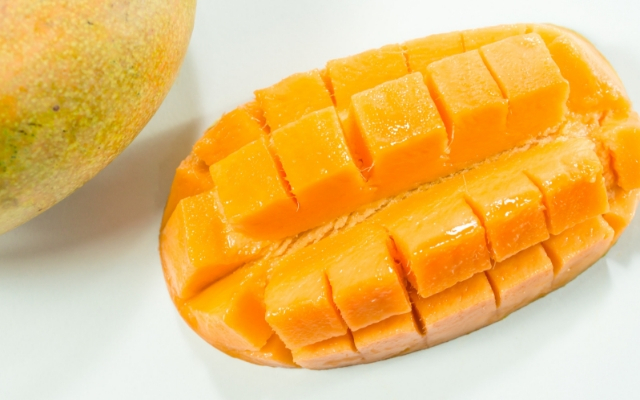 But fruit also has lots of sugar in the form of fructose, and some fruit such as mangoes have much more calories than others. So don’t eat too much of a good thing. Are your portions just a little larger than you should maybe have? Sometimes it is hard to see that our plates are little bigger than we should because, hey that’s how we grew up, with mama saying eat some more baby, that’s not enough food. And if there was a grandmother in this situation, well, your plate was full! Now, I would never recommend that you count your calories for the rest of your life. No ones got time for that. 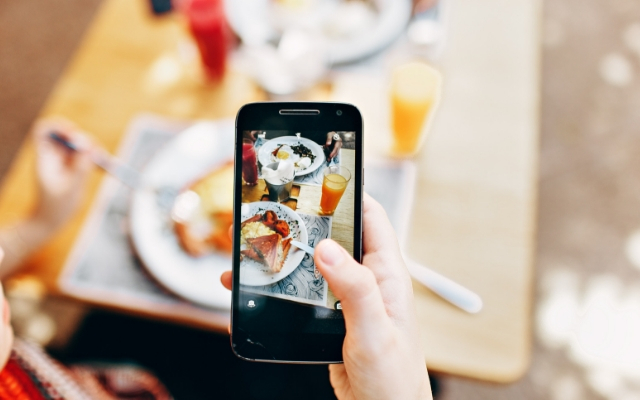 But for a while just to be sure just how much you eat, tracking calories can give you a better picture of your food consumption habits. You can also get smaller plates. This will help you keep your portions under control. Measure your food. Not for life, but for a while to train your brain. Then you will find that you get used to eating smaller portions. Just make sure it is smaller portions of food that is nutrient dense, with vegetables, proteins, and whole grains. And the opposite is also bad for weight loss. Life is all about finding a happy balance. If you are restricting calories too much and eating way less than you need, then you won’t lose weight too. The body is designed with compensatory mechanisms, that react to this calorie restrictions by holding on to fat because the body is trying to protect you in case starvation is coming. Research in The New England Journal of Medicine found that the body has compensatory mechanisms that work against you when you start a restrictive diet. This results in changes in hormones that regulate hunger and appetite. If you are on a diet that is too restrictive, your metabolism slows down to compensate. And that works against your efforts to lose weight. Therefore it is important to avoid diets that leave you feeling hungry. Weight loss is essentially a lifestyle. With an overall healthy lifestyle, you maintain a balance and are not starving your self. It won’t happen overnight, or in a week. To lose real weight and not just water weight, the healthy way takes time, but you can lose 1-2 pounds a week. Ok, this one explains itself. We can’t just eat and then lay on the couch, though I know I want to. Make sure the amount of food you eat is met with an equal amount of activity. So I hate to break your heart, but you must exercise. Unless of course, you do like to exercise. Exercise does make you feel good, but when not accustomed to it it feels like a chore. I know I am not the only one who finds exercise a chore. But we have to do it, in order to keep a balance between energy consumption and expenditure. Our bodies were meant to move. That is why the ancient man had no pot belly. He spent his day hunting, moving, farming, running after a game running from various sorts of threat. But these days, ahh the joys of modern life- we have cars, desk jobs, computers then we come home to our couch and we watch TVs. We are our health undoing. So to lose weight, make sure that the amount of food you eat, the calories you consume, are met by an equal amount of activity. We must move more to lose weight and maintain weight loss. They really ought to educate people more on sleep, and its role in overall health, including mental health, and sleeps role in weight loss. Imagine how easy a fix this is. Sleeping enough can help you lose weight, and improve your mental health, which will also help you lose weight. Yet so many people are not getting enough sleep. Sleep is important for weight loss. A study published in The American Academy Of Pediatrics found that sleep restriction in childhood increased the long term risk of obesity. One reason short sleep causes obesity may be because short sleep causes a disruption in hormonal regulation in hormones such as leptin, Grhelin, and cortisol. These hormones determine how hungry you feel and how often, and leptin lets you know when you are full so you don’t overeat. There may even be many more areas of health that are disrupted by short sleep than we know currently. It is also true that when one doesn’t sleep enough they are too tired the next day. This means an inability to engage in activities such as exercise, and really the likelihood that one will make bad choices in food due to reduced mental fortitude. If you are tired from lack of sleep you feel awful. You really have no energy to cook, leave alone plan and cook healthy meals. So try to sleep at least 7-8 hours a night and your efforts for weight loss will bear results. 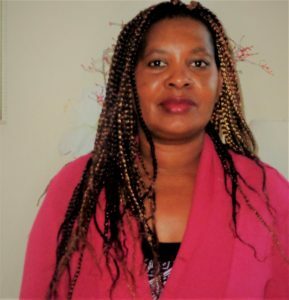 Granted there are some people who have a hard time and are unable to sleep enough due to health issues, perhaps anxiety, or just generally, suffer from insomnia. I would suggest trying to manage lack of sleep as naturally as possible. I find that having a sleep routine is very helpful for me. I make sure I take a bath with my lavender oil, and Epsom salts daily before bed. They are so relaxing. I try to plan for the next day and also journal if I have things running around in my mind. I then find a good book to read and read a while in bed. I use my diffuser, which I love and diffuse some amazing essential oils. When I feel sleepy then I have this silky soothing mask and I am off to sleep. 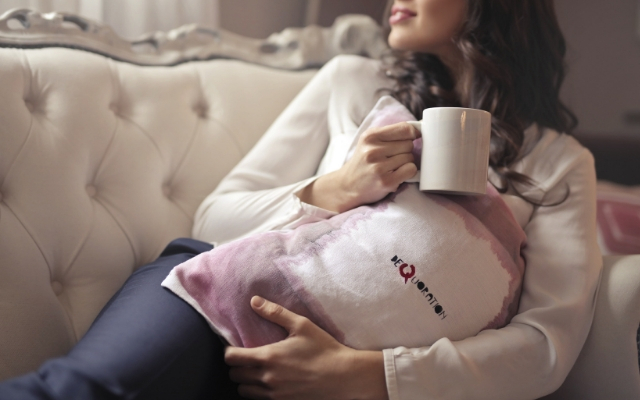 I laughed when I heard of sleep hygiene, but really, a sleep routine is crucial. Another thing that can cause you to be sleepless or wake up too soon is a deficiency in magnesium. Some deficiencies, such as deficiency in vitamin D, calcium and magnesium can affect how well you sleep. You can have your levels checked but there is research showing that most magnesium tests don’t really show the real picture, and so many people have a magnesium deficiency. Since I started taking magnesium I sleep so much better. As a Nurse who works the night shift, and sleeps during the day, I know of sleep struggles. Taking a magnesium supplement has been life changing for me as far as sleeping well is concerned. This is the magnesium that I take. You can also try magnesium oil which is great because it is directly absorbed by the skin. And of course, an Epsom bath which also has magnesium is very helpful. I recommend reading this article which is an in-depth article about how crucial magnesium is in our overall health. Stress as bad it is can also make it hard to lose weight. The bad thing is that stress is on the rise. Don’t you miss the much simpler past? I know I do. Sometimes life just piles things on us that can cause lots and lots of stress. And our lifestyles have changed so much increasing the amount of stress on any given day. Unfortunately, stress can make one ill, and it plays havoc on a person’s weight loss efforts. When one is stressed, they may be too overwhelmed to make good decisions such as healthy food choices. It is easier to stay in and just order pizza, or reach for that ice cream, stop by fast food place and get french fries. And more days is of this will eventually lead to weight gain. So it is important that we find a way to reduce stress because, frankly, our overall health depends on it. Stress causes increased production of cortisol, the fight or flight hormone, and this can lead to weight gain. When the body has too much cortisol, then the body stores fat around the shoulders and abdomen, and this weight is so hard to get rid off. Cortisol causes muscles weakening and reduction. And you know, one way to lose weight is to increase your muscle mass. That is why men lose more weight than women- because they have more muscle mass. Try and find ways to cope and combat excessive stress, so you don’t lose even more muscles through cortisol accumulating and causing fat gain and muscle loss. Cortisol also increases your appetite, and there go your weight loss and health goals. It causes you to sleep less, and are likely to feel hungry while you stay up so you eat. Also, when you are stressed, it is likely that you will want some comfort food so you reach for that ice cream or order a pizza. Besides you are exhausted so want something easy like take out. 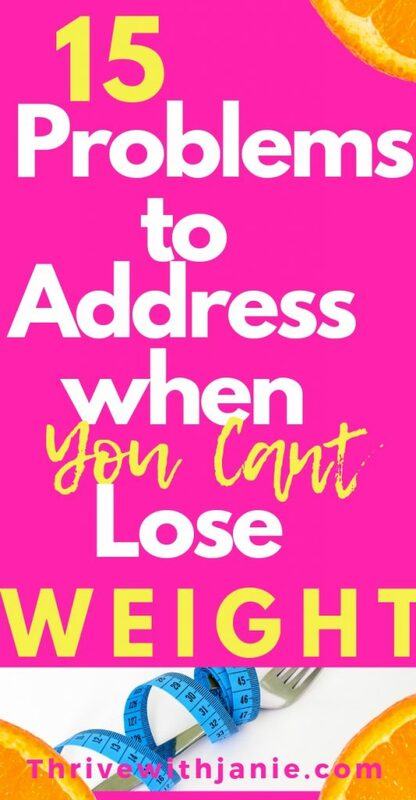 Yea, with so much stress, weight loss can be difficult. So the best thing to do is to find ways to cope and to lessen the stress and its impact. 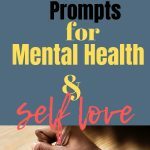 Employ such healing practices such as prayer, talking to a therapist, talking to a friend, journaling, practicing meditation and, and mindfulness, exercising, spending time in nature and even taking walks in nature, just to mention a few. Practice self-care. This is very important for moms, especially who tend to put everyone else before their own care. You must put your own oxygen mask on first. Simple Habits to Fine Tune Your Life for Happier and Improved Life. 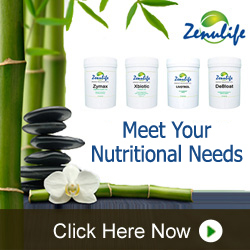 Your hormonal balance plays a major role in your general health and wellness. This for many people trying to lose weight is the crux of the matter. These causes metabolic problems in the body. Your body is supposed to work on feedback mechanisms, that act as gatekeepers so that certain functions do not go overboard. There are several hormones that if out of balance can derail your weight loss even with dieting and exercising. Your body has an amazing design with several hormones that work in harmony if all is working as it should. But when one hormone gets out of line, it may affect many other hormones. Think for instance about estrogen and progesterone. These two work in balance so that after the production of estrogen has reached its optimal levels, then progesterone production starts. If this negative feedback backfires, then estrogen continues and too much leads to extra weight, and other health problem. Insulin is important for regulating your blood sugar, by making sure that glucose which you consume in the form of carbohydrates is pushed into the cells for energy. Sometimes, these cells become insulin resistant and no longer receive the signal from insulin to accept the glucose from your food. So then this excess sugar is stored in the fat cells. Unfortunately, since your cells still need energy, you then feel hungry so you eat. Now I know that when one is hungry and there is food, one is bound to eat, right, its science, in it very primal essence. And so goes on the fat gain cycle in spite of the very good intentions for weight loss. Leptin Is the grown up in the house. It is the hormone that tells your body, woman, you did eat enough already, stop. It is in more scientific terms, your satiety hormone, It sends the brain a signal when you are full to let you know so you can stop. Well.. when it is not working, you cant feel full and you eat waaay more than you should otherwise. It turns out like in insulin, sometimes the body also has a leptin resistance. too. Girls, can one get a break? So it is not your fault. Your leptin has failed you. Ghrelin is the hunger hormone that works in concert with leptin. This the hormone that is all too happy to let you know when you are hungry. But if the feedback mechanism fails. Then ghrelin never gets the signal from the leptin to say you are full so you feel hungry all the time and you eat more than you should, and yea, the needle won’t budge. Also, your body becomes more sensitive to ghrelin when you restrict calories, making you feel more hungry. This research found that ghrelin levels start to rise within a few days of starting a diet, Sometimes the levels of ghrelin even doubled in weight loss as this research found. Cortisol: As discussed above, increased cortisol production can cause weight gain, as cortisol causes you to eat more, encourages the body to store fat. A slow thyroid or hypothyroidism will make it very difficult to lose weight. Some of the signs of hypothyroidism include weight gain, constipation, excessive exhaustion and lack of energy, excessive sleep, hair loss, and hair thinning, and the list goes on. Your thyroid is the driver of your metabolism, and if it slows down and not producing enough thyroid hormones, then your metabolism slows to a crawl. It is important to have this checked if you have been struggling to lose weight and it is not happening. Also help your thyroid out by eating foods that are rich in nutrients such as selenium, zinc, and iodine. And increase your fiber intake as well to help with constipation, and help you feel full so you don’t eat too many calories. Certain medical conditions drive weight gain, or they make weight loss harder. These include Hypothyroidism, PCOS, diabetes, and even sleep apnea, and any medical condition that requires one to take steroids such as prednisone. Steroids lead to accumulation of weight in the abdomen, shoulders and general weight gain, that can be hard to shed eventually, and as has been mentioned, in regard to cortisol, they lead to muscle and bone wasting and a host of other side effects, such as thinning hair, and hirtuism, and thin skin. In hypothyroidism, the bodies basal metabolism decreases, so that even if you eating less, you are also burning fewer calories, so your weight loss is minimal to none. Also certain medications you may be on can also drive weight gain, including some birth control medications, and some medications for depression and many others. So check the side effects of your medications, and check with your provider to see if any others are available that have lesser side effect effects or that doesn’t cause weight gain. Okay, I know that sounds harsh, but hear me out. Who is not guilty of eating while they scroll they their social media feed? Studies have shown that eating mindfully can result in significant weight loss. Oh, I know, you must eat while watching TV, and mindlessly scrolling through Facebook. Most of us do this. It is important to really pay attention as you eat. To really savor the food, the taste, texture, and be present in that moment. Be in the moment. Chew slowly. This helps you pay attention to the cue that you are full and are more likely to eat less. But when we eat with distractions, our mind fails to pay attention, and we may miss cues that we are full. This can cause us to eat more than we should. So when we do this daily for years, just imagine how many more excess calories we consume this way. So commit to eating mindfully and you may see better results on the scale. No one likes to feel restricted, and so we eventually end up giving in or our minds just rebel. 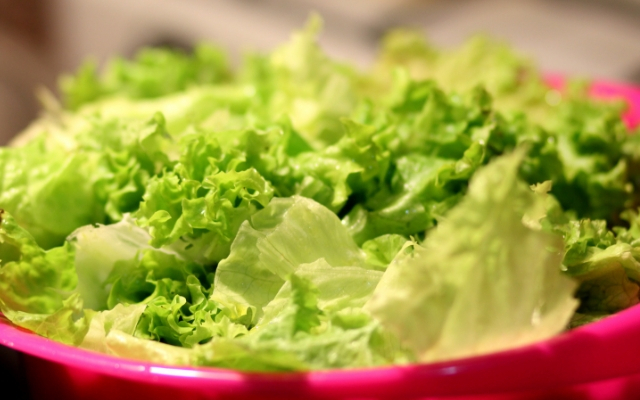 If you have a long list of no eat food groups and living on lettuce, you can find this really difficult to keep up with. So you need to stick a happy balance, a happy medium. 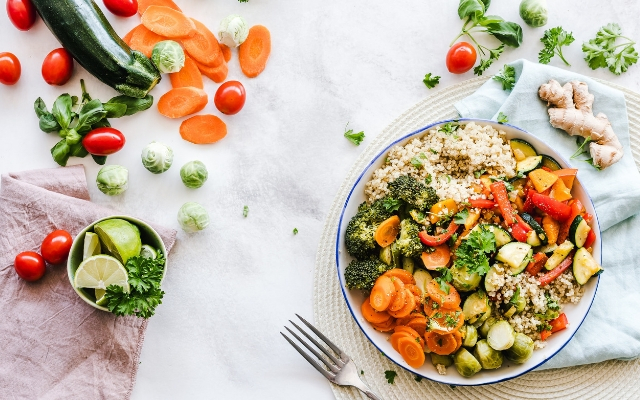 While some really reach foods such as sweets and desserts can pack a lot of calories, eating these occasionally and watching the portions will help you not feel deprived and so are likely to continue with a healthy eating diet program. Our work environment has changed over the years and many of us are working at a desk job, where they sit for 8-10 hours. this simply goes against biology. Our bodies are made to move. When our bodies move, it helps with circulation so that food and nutrients are taken to organs that need them and function to assist in functions that all lead to better energy metabolism, and optimal transit and removal of toxins. So when we don’t move as much and try to compensate with 30 -an hour at the gym well, it is not the same, and weight loss stalls. 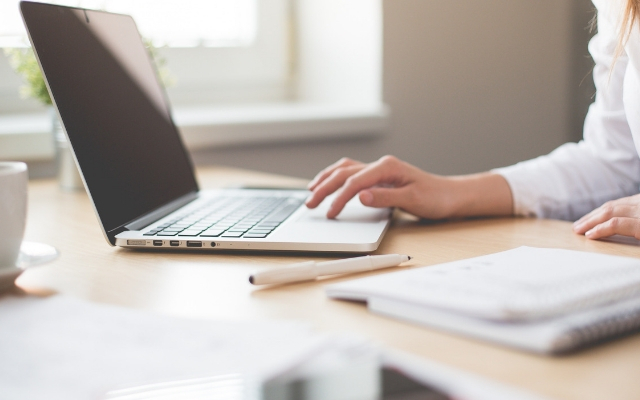 Try to stand an move about throughout your workday. Take a walk during your lunch break. and stay away from those donuts that your nice boss brought in this morning. I know, so tempting! Your friends at work, oh you the ones who encourage you to just take a slice of pizza, saying its just a slice! Yeah, ignore them. Ahh, I know this one too well. Let just be honest, it is hard to keep up healthy habits and healthy eating if all your friends at work eat, well, whatever. BUT, you have some goals, weight loss goals. Ahh, I know this one too well. Let just be honest, it is hard to keep up healthy habits and healthy eating if all your friends at work and all your family, and people you around you eat, well, whatever. Just don’t let your job sabotage your weight loss efforts. You got this, you can defeat these obstacles. Okay, now hear me out here. 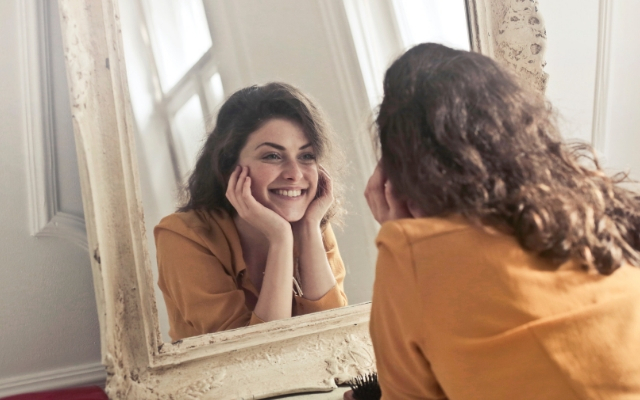 You may be one of those people who look in the mirror and see something that is not there. Or people roll their eyes when you mention you need to lose weight. Here is the thing we all have different body types of body shapes and weight set points. Yes, a weight set point is a thing, just like the optimal body temperature that your brain, your hypothalamus sees too. So you see, your brain also knows your weight set point and when you try to push back on this, the brain recruits its superpowers in the form of hormones and other regulators to keep your weight where it believes it should be. Unfortunately, a tug of war ensues between you your brain and you lose weight and then you regain it. 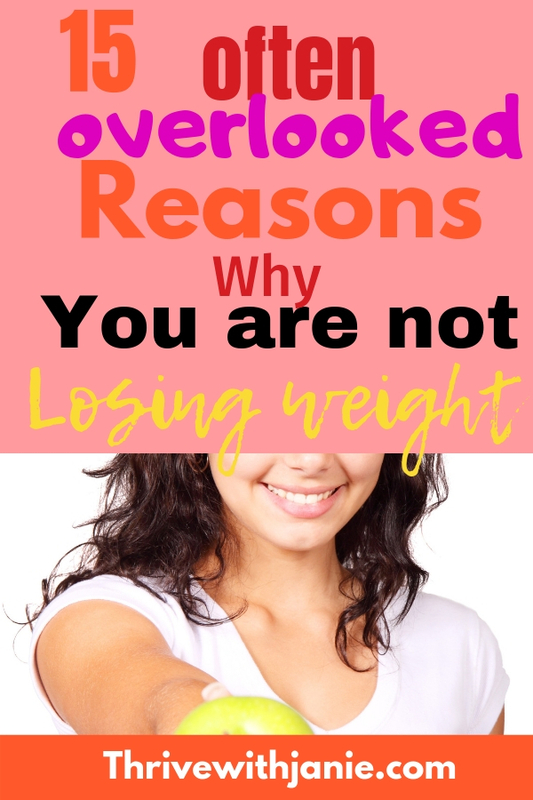 So it is not all your fault that you are not losing the weight you want. Your brain is working against you. So tell me, have you had any struggles with weight loss? Has anything helped yet? Tell me below in the comments. And don’t forget to share this post with your friends. Thanks. Cappuccio, F. P., Taggart, F. M., Kandala, N. B., Currie, A., Peile, E., Stranges, S., & Miller, M. A. (2008). Meta-analysis of short sleep duration and obesity in children and adults. Sleep, 31(5), 619-26. Naeem Z. (2010). Vitamin d deficiency- an ignored epidemic. International journal of health sciences, 4(1), V-VI. Holt SH1, Miller JC, Petocz P, Farmakalidis E. A satiety index of common foods. (1995). Sep;49(9):675-90. Leidy, H. J., Tang, M., Armstrong, C. L., Martin, C. B., & Campbell, W. W. (2010). The effects of consuming frequent, higher protein meals on appetite and satiety during weight loss in overweight/obese men. Obesity (Silver Spring, Md. ), 19(4), 818-24. Losing weight is mostly a matter of burning more calories than you eat or drink, so even if one eats healthy food, he or she still needs to eat in moderation to lose weight. Hi Nick! So true. If one can balance calorie intake with exercise, given no underlying hormonal issues then they can lose weight. Wow! Very thorough! I never thought about a magnesium supplement. Maybe I’ll look into that. Also going to try to be very conscious about my water intake. Some days I do well, others not so much! Hi Stacy! it is sometimes simple things like water intake, eating consciously to include foods that meet our vitamins and mineral requirements that can help us become more healthy, including helping us in getting to our healthy weight. Great info. I was recently diagnosed with a Vit D deficiency. I think a lot of people are deficient and have no idea. Thanks for the tips. Laureen, you are welcome. Unfortunately these days there is a lot of people who are vitamin D deficient, and given the many roles, this vitamin plays including in weight loss it is crucial to make sure that your D levels are optimal. Some brilliant advice here. I really need to drink more water I’m very bad and often just drink caffeine! Hey Jade! Drinking water is one important thing you have to do for all your health needs and is key to weight loss. So try drinking more water and you will see a healthier you! 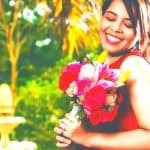 Coming over from SIPB great article, it’s great to see all the reasons in one place and so well thought out. Thank you. Thank you, Claire. I am honored you thought so! This was a very informative read – saving for later! Kristi, I am so glad you found it helpful. Losing weight can sometimes really stump people as so many factors contribute to weight gain. I gave up sugar one month ago and haven’t lost a single pound! It’s very discouraging! Maybe something on this list is the reason! Oh, I know the struggle. 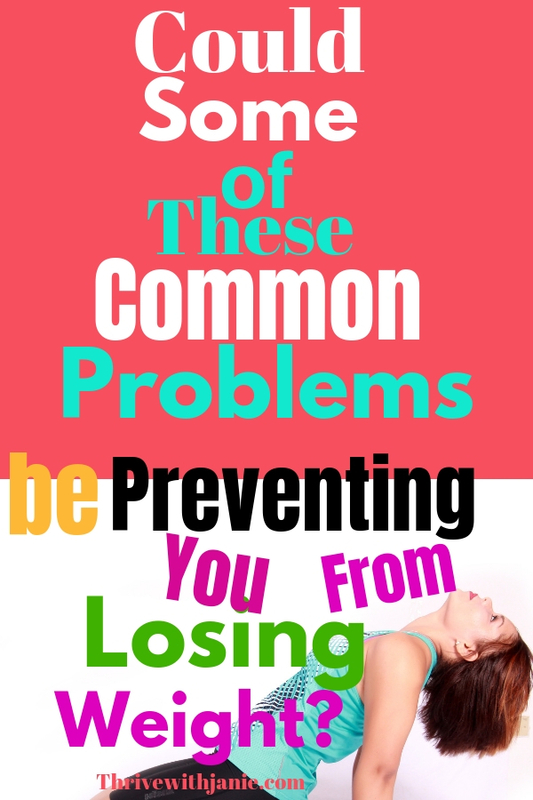 Sometimes it may be more than one thing that is the cause of lack of weight loss. So go through the list and try to optimize different things.